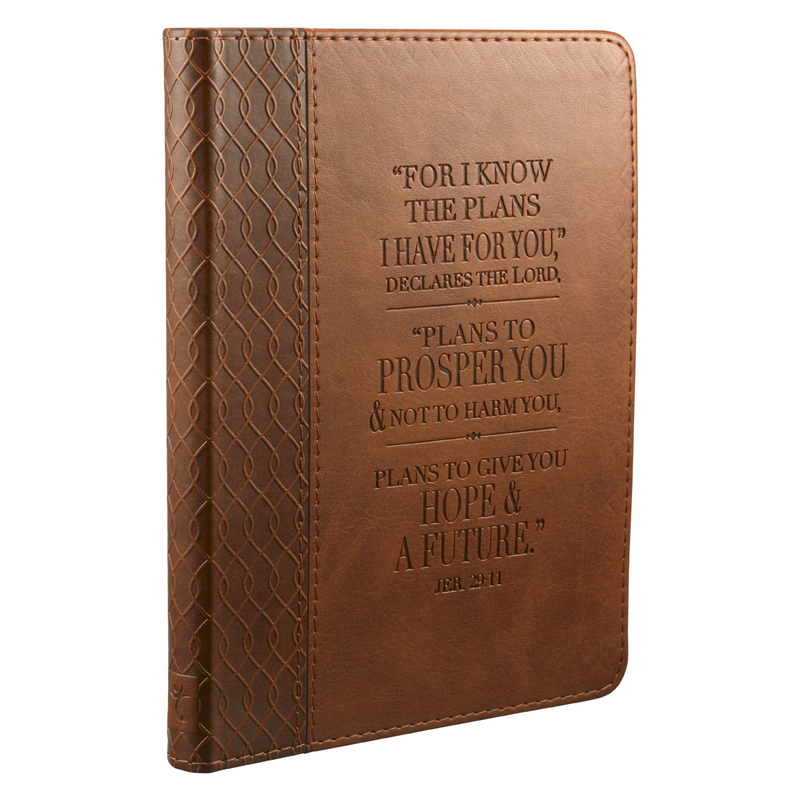 Scripture from Jeremiah 29:11 "I know the plans I have for you, declares the Lord, plans to prosper you and not to harm you, plans to give you hope and a future," is handsomely engraved onto the front of this brown handy-sized journal. 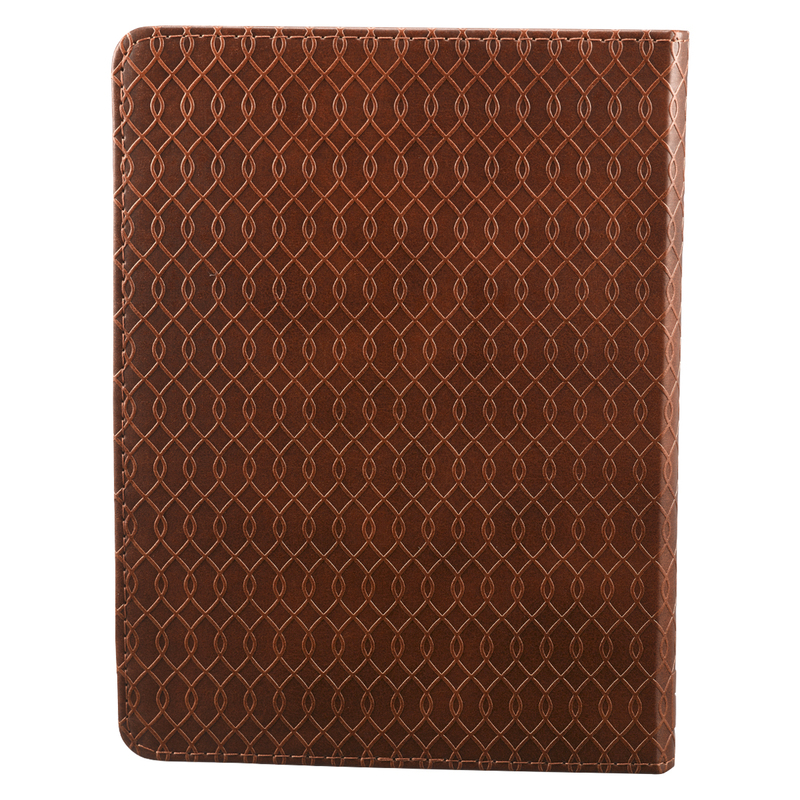 The smooth front blends with the embossed intertwined tonal design at the spine and back. 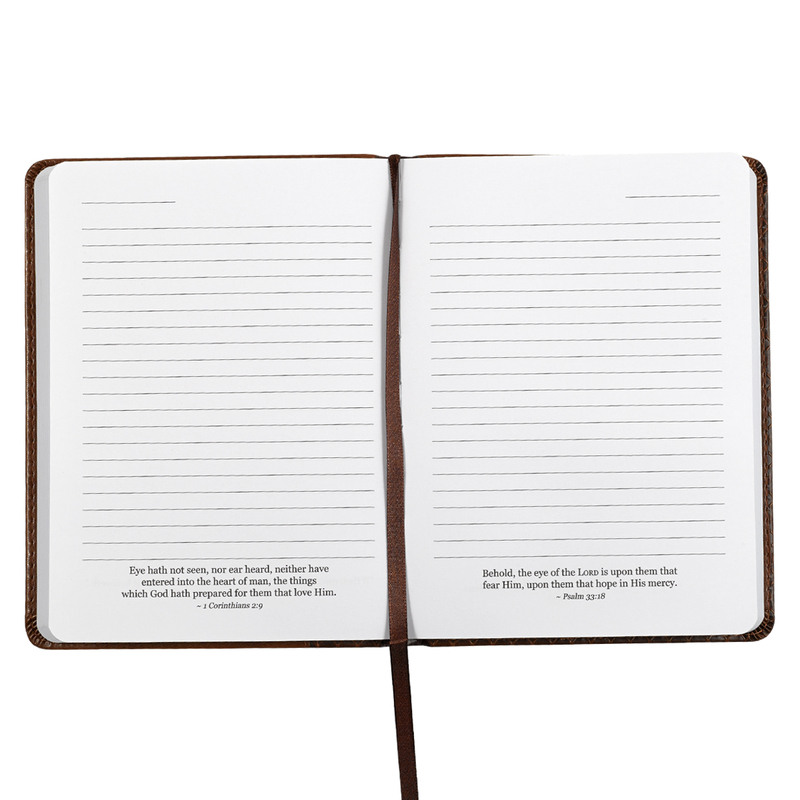 The journal cover is constructed of quality man-made material imported from Italy, with the look and feel of real leather (trade name LuxLeather). Jer. 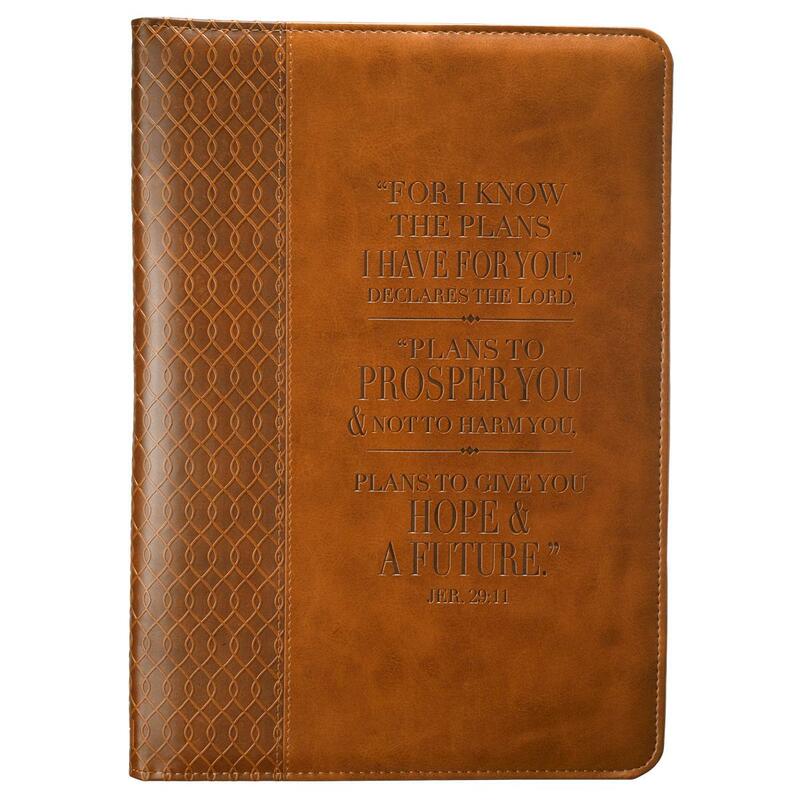 29:11 (Tan) Flexcover Journal by Christian Art Gift was published by Christian Art Gifts in January 2009 and is our 1376th best seller. The ISBN for Jer. 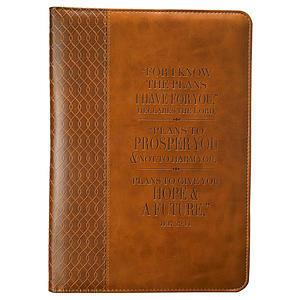 29:11 (Tan) Flexcover Journal is 9781432108069. Be the first to review Jer. 29:11 (Tan) Flexcover Journal! Got a question? No problem! Just click here to ask us about Jer. 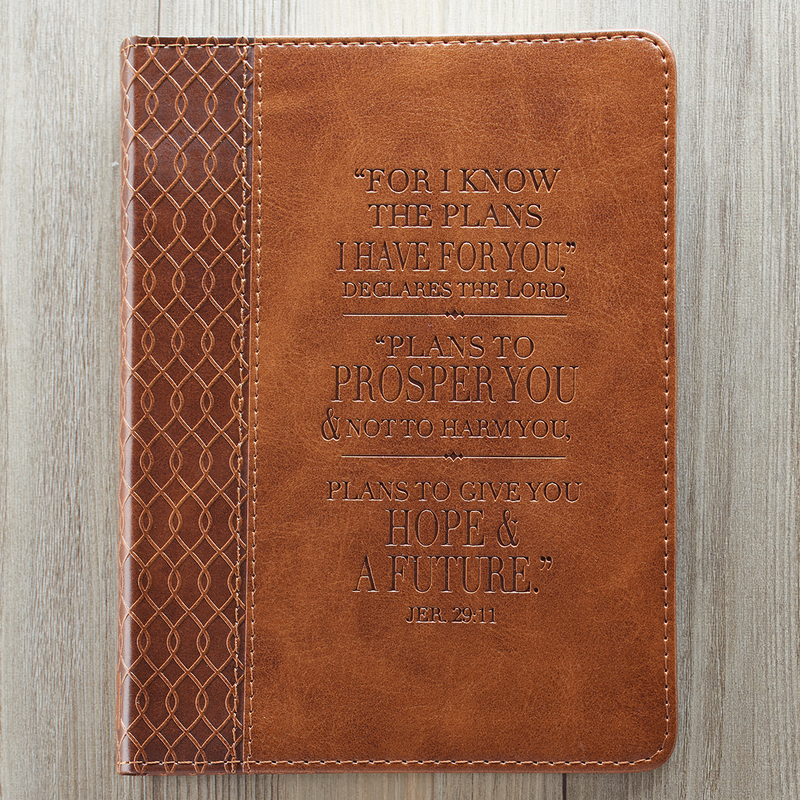 29:11 (Tan) Flexcover Journal. Hello, How many pages is this journal please? A:There are 240 pages. Thank you for using the Q&A Forum. A:This journal size is 5 ¼" x 7", so not A4 (8.27" x 11.69"). We do not sell any A4 journals I'm afraid. Thank you for using the Q&A Forum. A:This journal also has 240 pages. I'll amend the page, again, to show the correct amount. Thank you, again, for using the Q&A Forum.